Gary is the founder and President of Bearing Harbor, an advisory company focused on the family business. As a product of an entrepreneurial family, he fully understands the family, social and unique management dynamics of a closely held company. 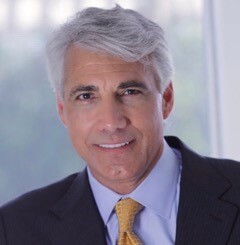 Gary has helped companies develop strategies for growth, profit improvement and business expansion and, guided their executive teams to execute on those strategies. He has extensive success and expertise in turning around struggling organizations and has led company reorganizations and management transformations. He has the formal business education, broad-based experience in finance and operations, and the business demeanor to effectively add value to your firm. Gary’s most recent experience was as Chief Financial Officer (CFO) for Munich Health North America and a Board Member of Munich Re Stop Loss, Inc. His prior experience included CFO at AIG where he was recruited to help rehabilitate its Global Reinsurance Division. Previously, he led strategic and financial planning for Munich Re America and helped build global operations for American Re-Insurance Company. Gary is currently a board director for a real estate investment company and a board director at Pulse Center for Patient Safety and Advocacy. He is also a certified mentor in the Small Business Administration’s SCORE program and for business school students at Hofstra University. He is a licensed life, accident and health agent/broker and FINRA Series 6 Registered.